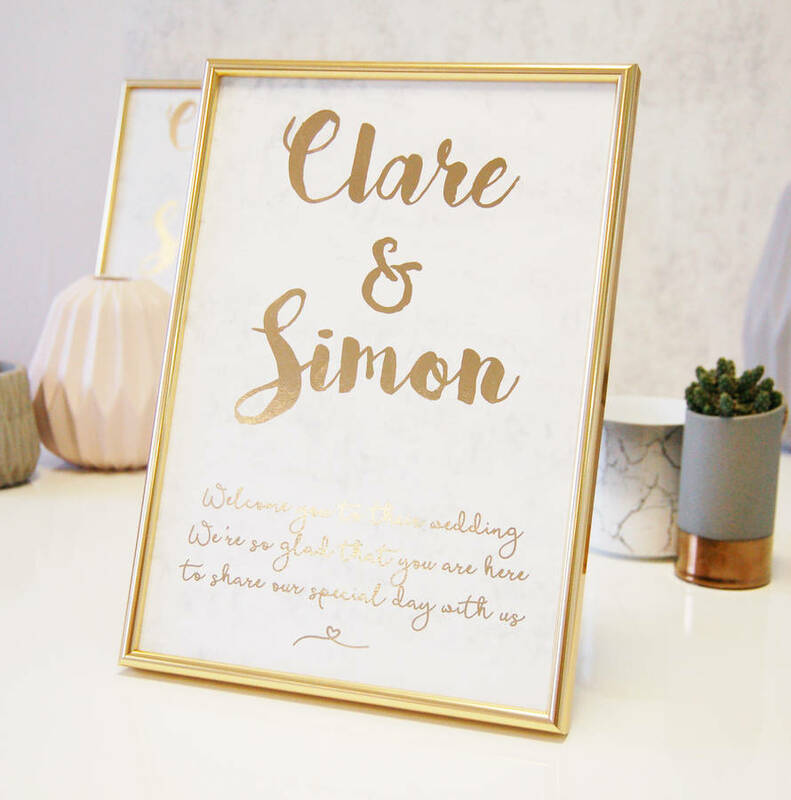 couples names, will be separated by "&"
The gold & Marble wedding sign captures 2 of the current trends, that are sooo perfect for a wedding. Gold is a classic loom and when paired with marble card it gives a truly stunning effect. 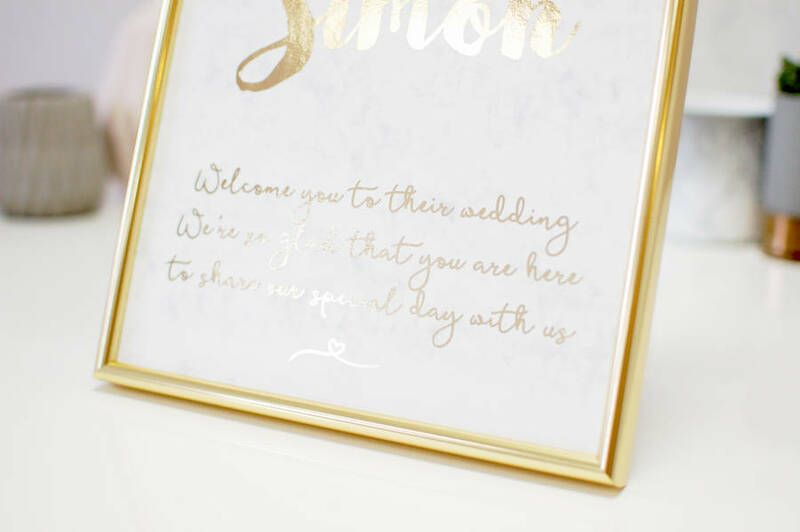 The personalised Grecian wedding couples name sign features the couples names and a free text section. 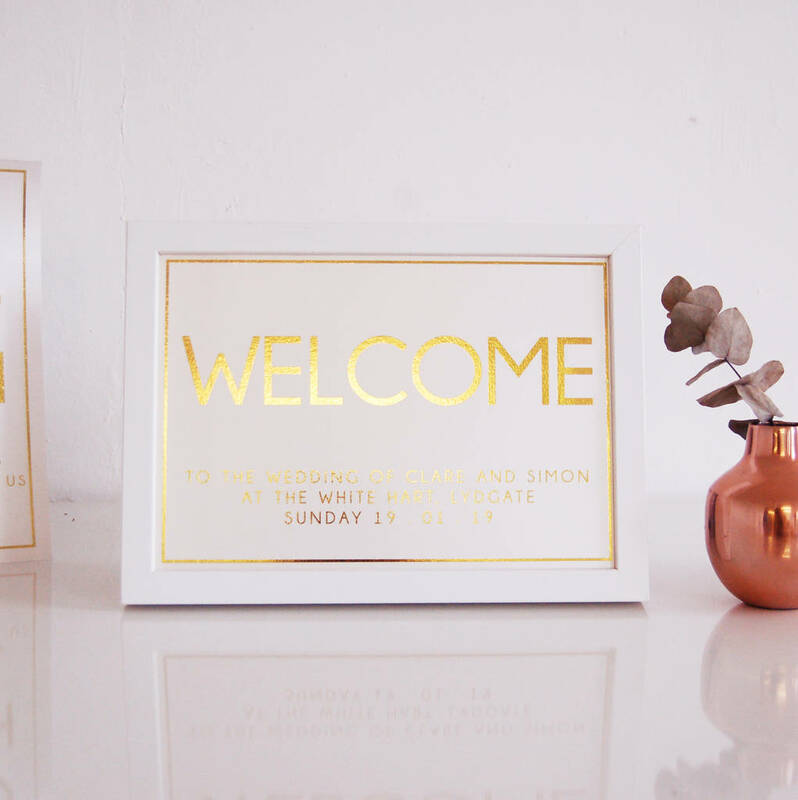 With a stunning script font this is perfect to add a little Grecian inspiration to a wedding. 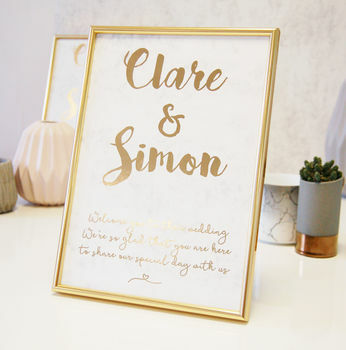 Perfect for the couple or can also make a great personalised gift. Please note that gold foil can show up slight imperfections on the gold finish. Please ensure that wording is typed EXACTLY as you would like them to appear as we will design your signs using your wording EXACTLY as stated. Framed signs come with perspex.